The Kartel 116 replaces ON3P’s Jeffrey 114, a ski that several of us at Blister really, really like. The Jeffrey 114 was very versatile; it could be pushed quite hard, but it also had a very playful personality. It was very predictable, and it worked well across a wide range of conditions for a wide range of skiers. 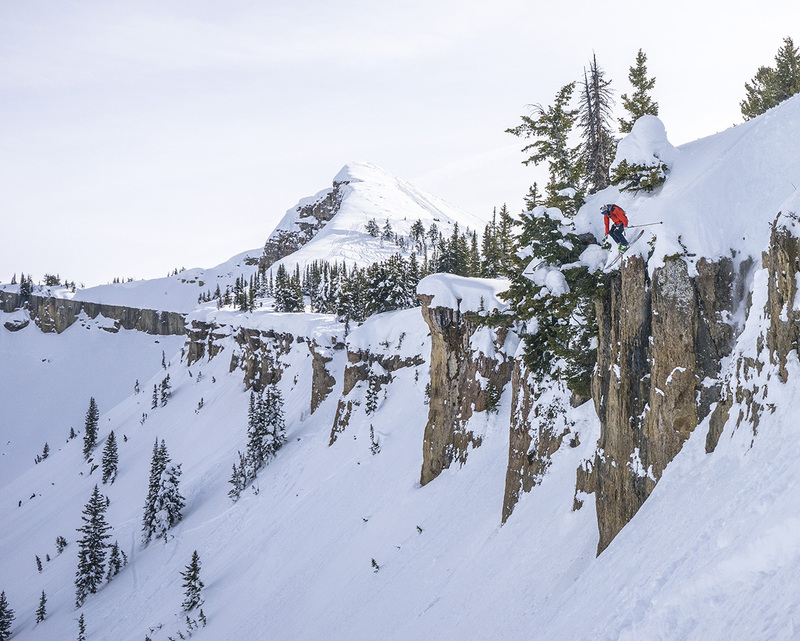 So when the Jeffrey line was absorbed into ON3P’s more jib-oriented Kartel line this season, we were sad to see a favorite ski go, but extremely curious to see what the new Kartel 116 would bring to the table, and how similar or different the two skis were. That sounds about right. On paper, the Kartel 116 is 2 mm wider than the Jeffrey 114 in every dimension, and has the exact same sidecut radius. The rocker profiles are very similar, as are the flex patterns of the two skis. What really stands out is the new tip shape; there’s definitely more taper than on the old Jeffrey, but still, the Kartel 116 does not have a super-tapered tip (a la the Rossignol Super 7, and so many current skis on the market). So the question is what happens when you take one of our favorite playful chargers and make it a little wider and add a little more tip taper? We’ve also now posted our Deep Dive Comparisons of the Kartel 116 to a host of other playful powder skis, so become a Blister member or Deep Dive subscriber to check out our comparisons. Hand flexing the Kartel 116 and Jeffrey 114 back-to-back reveals a very similar flex pattern. Our Jeffrey 114s feel just a touch softer in the tips and tails, but it’s such a minute difference that it could possibly be due to the fact that they’ve probably been on snow twice as many days as the Kartel. Jonathan Ellsworth described the Jeffrey’s flex as “medium / soft” at the tips and tails, ramping up toward the middle of the ski. Both he and Alex noted that the Jeffrey’s tips and tails are significantly softer than the rest of the ski, making the ski easy to press and pop. But the midsection of the ski is no noodle. The Kartel 116 is very similar in that regard. I never had any trouble loading the tips or tails to pop, but at speed, the hearty backbone of the ski becomes apparent. It feels like a very dialed blend of Playful and Pushable that makes for a very versatile ski. I was lucky enough to start my time on the Kartel 116 at Mt Bachelor, where we were skiing deep, wet, PNW pow. And on my return to Wyoming, I was met with deep, light, continental snow. In both situations, the Kartel 116 was a blast, which of course is to be expected from a 116mm-waisted ski in fresh powder. The big question in my mind was how the Kartel’s more tapered shape would feel compared to my previous default pow ski, the Jeffrey 114. 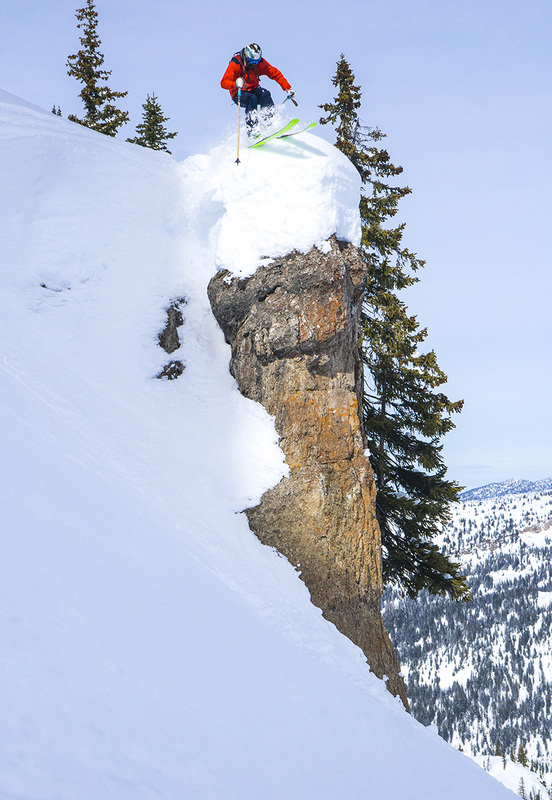 Honestly, I didn’t notice the new shape that much until I got into the tighter trees below Das Boot at Targhee. Here the Kartel felt a little quicker and easier to flick around than the Jeffrey, despite the fact that the Kartel is heavier and 2 mm wider. By the end of the day, I found myself dancing through the fresh snow in these trees faster than I had all season, and swapping back to the Jeffrey 114 for a run felt just a bit unwieldy. The Kartel 116 is an absolute blast in pow. Like the Jeffrey 114, I was impressed by its versatility. It responds well to being pushed, and on both skis, I found myself skiing faster and stepping up to bigger airs and higher-consequence lines. NEXT: Soft Chop, In the Air, Etc. Nice review, sounds like a great ski. How does this compare to my awesome Blizzard Gunsmokes? I would have described them in almost the exact same terms. The Guns are a bit heavy is perhaps my only complaint with them, but then that adds to their stability I would imagine. Thanks for the review. 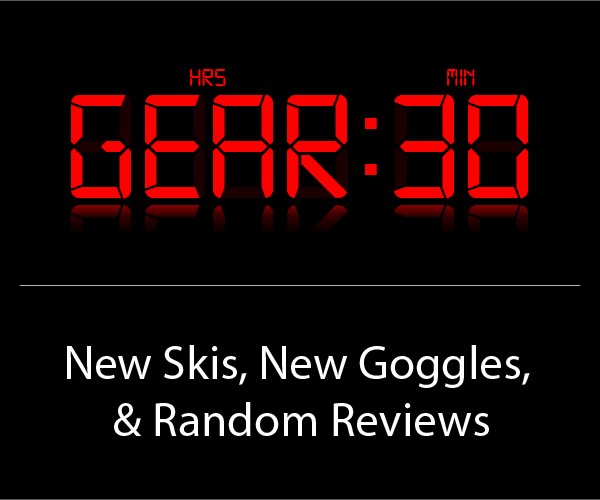 I’m thinking of the Kartel 116 for my next ski, and wanted to get your thoughts. 5’7″ 140lb. For the last 3 seasons I’ve been on the 13/14 Line influence 115 (179). I love it’s stability and crud busting ability, but wish it had more float on powder days. Also wish it had more pop when making powder turns. This will be the wider ski of a 2 ski quiver, mainly skiing the PNW. The thing is I’m more of a directional skier. I do like taking little drop-offs and catching air off features, but will never ski switch or spin. Thanks. I have Kartel 116s in 191 on order. I will try to remember to update with a review comment after I get them mounted and have a few days on them. I was looking to get a more “playful” ski but still – “wanting something a little more stable and damp that you can push harder” because that is sort of my default modus. My go to everyday skis are 189 SideSeths, 118 underfoot powder rocker tip and minimal rocker on the tail, more of a full camber tail ski and it encourages full on attack mode. They are heavy metal. There are many skis that fit into this general category and the ON3P Billygoat would land under this general description in the ON3P lineup. Thank you for your review on the Kartels it is definitely encouraging for the type of ski I would like and have been contemplating. The ON3P’s are on “sale” right now which is relative. They are not mass produced and not prone to deep discounts since ON3P, I am guessing, is able to pretty well match production with demand. These skis are made in the US of A, which is another reason I gravitated towards them. Any idea how much overlap this ski would have with tje 181 sickle. I already own the sickle as a 1 ski quiver when traveling, liking for possible wider options for 2 ski quiver with a dedicated hard snow ski. Hey so an update I’ve got 2 days at Alpental, spring corn (Kartel 116×191) Of course limited conditions, but so far these things rock. They are bomber, but I can get them around quicker (than my SideSeths), and the tail releases nicely. Quick enough to pound and pop the corn bumps and get through them, bomber enough to blow apart the corn when the bumps get smaller. They love to be driven hard, such as attack mode with quick turns down skiers right of International or down Adrenalin. Likely won’t be until next winter I get true freshies, but I can already tell the way these ski they’re going to be a blast. Cheers, one more weekend – Cinco De Mayo at Alpental. For reference, I am a ways north of 200 lbs, 6-3, have skied for many decades and am sort of like a train coming down the mountain. Great job with your reviews and I love this website. I’m currently own a pair of Nordica Enforcer 110s-185cm. I use this ski as my primary powder ski. I love the Enforcers 110 in tight terrain and for tree skiing in Michigan’s upper peninsula (Mt. Bohemia) and take them for trips out west – Jackson Hole, Squaw, Colorado and Pac NW. But I think I’d like a pair with a little more float for deep days and stability/length for more wide open terrain. I’m currently considering the Rossi Super 7 which is 116cm and the ON3P Kartel 116. What is difference between these who skis if any? They’re both on the more playful side of the spectrum which I prefer. Also, do you think there’s much of a performance overlap between the Enforcer 110 vs. the Kartel/Super 7? I tend to like skis around the 185/186ish length since it fits my style of skiing and I’m willing to bump to to a longer length as long as it has enough flex but supportive enough if I get knocked into the back seat. 43 Years old/ Advanced Skier/6’0’/200 lbs.